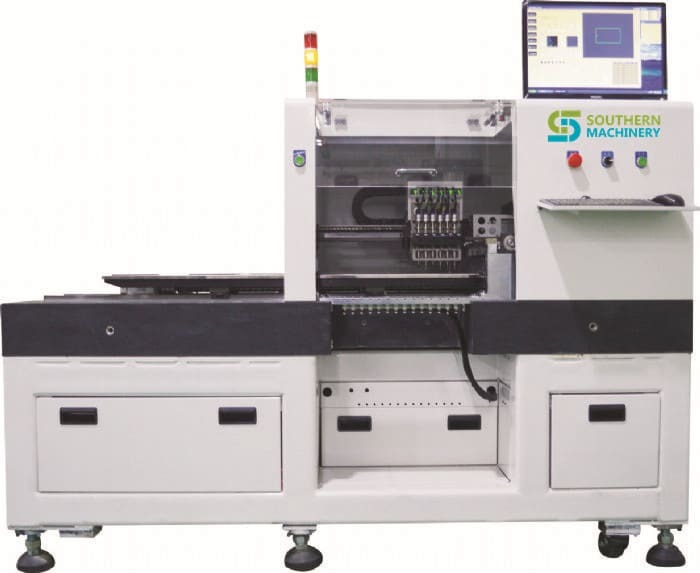 Southern Mechanical Mounter SM-320 body with a marble platform structure, greatly enhancing the stability and durability of the machine. 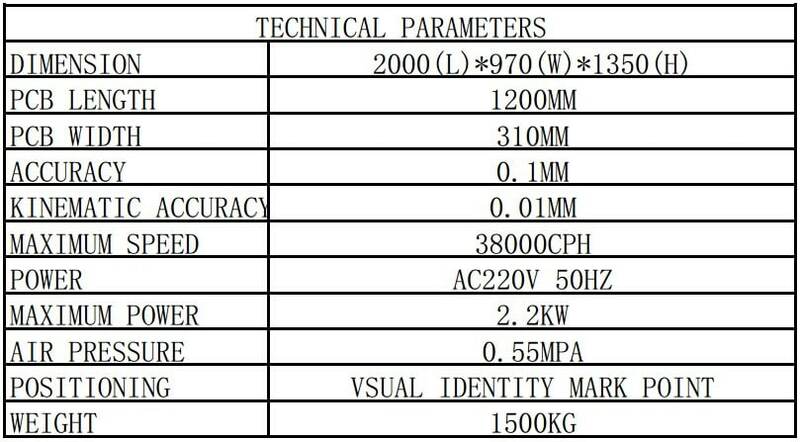 Placement speed better than the normal six sets of machine heads, maximum speed of up to 38,000 points / hour, for T5 / T8 daylight tubes, bulb, downlights, spotlights, soft lights, the parapets, linear modules, etc. placement in terms of speed or accuracy respects allows users very satisfied. 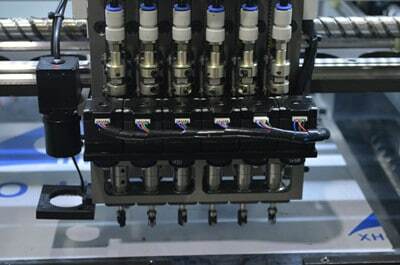 Use of Visual Recognition,distinguished from the mechanical zero pint positioning or the alignment pins positioning from other manufacturers,fully guarantee the placement accuracy and the effective accuracy compensation. 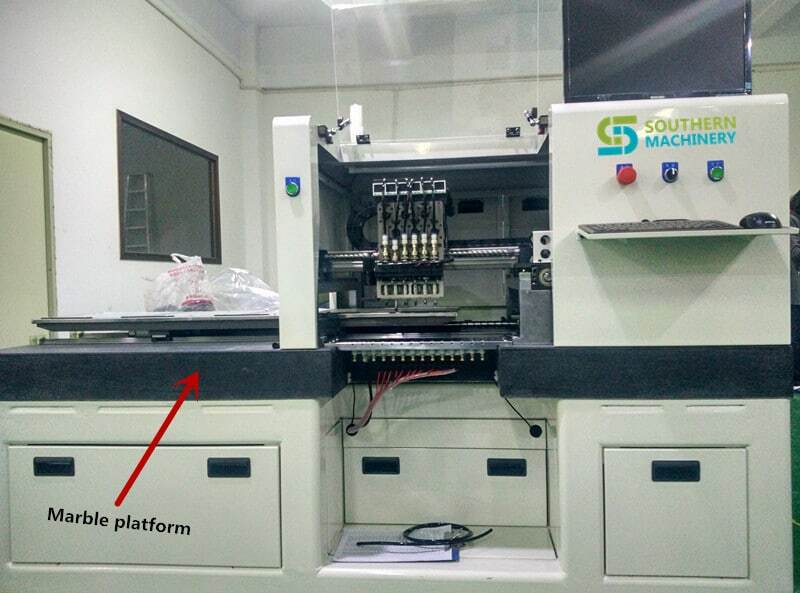 Using marble platform,hardware support by using international famous brands ensure placement repeatability and precision. Maximum placement speed reaching 0.095s/chip(38000CPH). 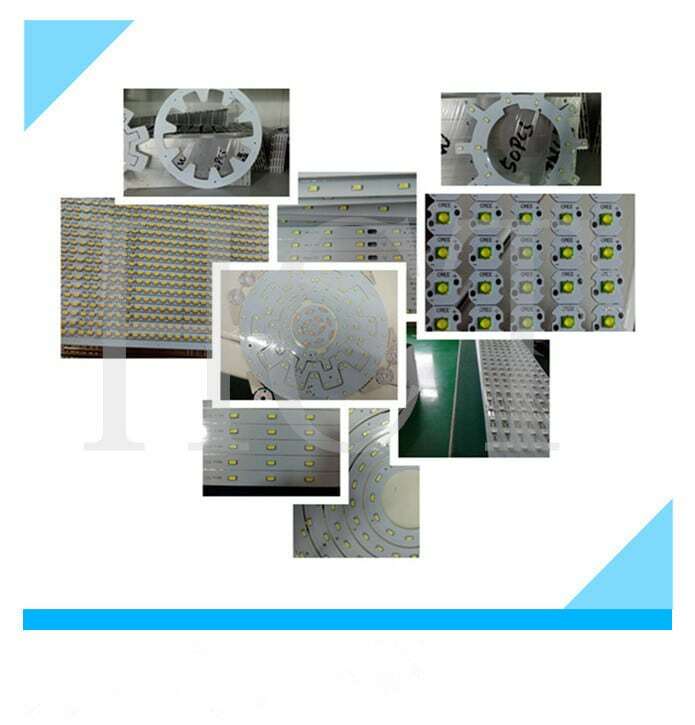 Place SMD components from 0603 to 7474,including resistors,capacitors and irregularly shared LEDs. Suitable for all LED lighting products .Assemble LED PCBs up to 1.2 meters long in a single pass. 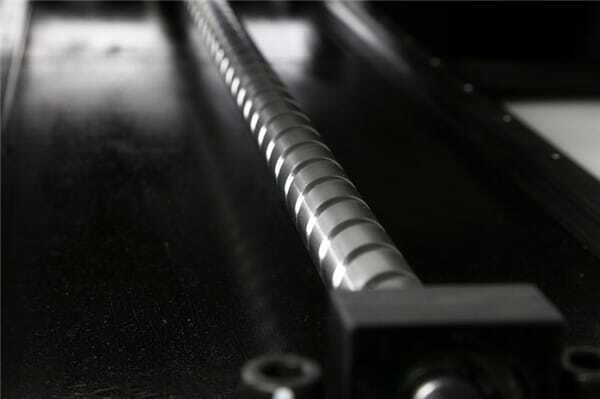 High quality marble not only guarantee the stable of the machine,and make the machine has a high precision in such a high speed.